← Is Shou-Ching to blame for our rice habit? Thanks, Ben. Since our government has banned the potato from school lunches, but not emetics, I’d say we’ve progressed little. I always enjoy Shou-Ching’s photo art but this one was especially good. 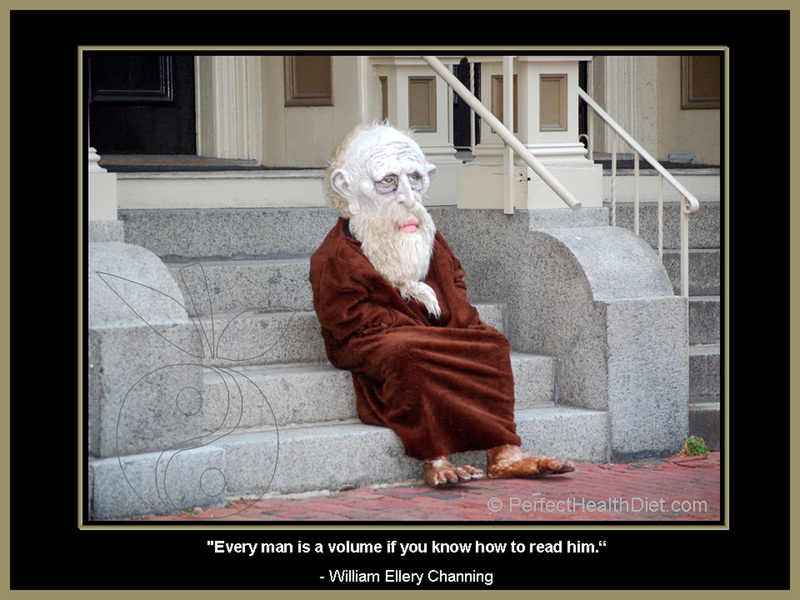 Ain’t that the truth, although some men are more bumper stickers than volume, but that doesn’t sound as profound so I’ll forgive Mr. Channing. Ricardo of Canibais e Reis is fantastic! He is so prolific that is hard to imagine where he gets time to have a life! BPA from cash paper is scary! It’s everywhere! Imagine the huge contamination of the environment. 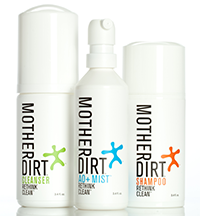 It’s absorbed thru skin, and, if for those who have the habit of using alcohol for disinfection, it will penetrate deeper! I’d like to see your photo art! Raccoons and humor could be a good mix. Some benefits would be immediate but there may be long-term therapeutic benefits as well, if depression as we believe is usually precipitated by brain infections. The ketogenic diet promotes the brain’s immunity against bacteria and viruses. Yes, I’m sure I miss many gems from Ricardo because he writes faster than I can read! BPA – I’m not sure how bad it is but it’s a great tip to avoid the cash register receipts. I love Ricardo too. Amazing. I wish I could read Portuguese. As for BPA (and other plastic-derived chemicals) – I never heat anything in plastic anymore, and I try not to let the children handle receipts (I handle them as little as possible) and for the most part avoid canned food (the exceptions being coconut milk and some tomato products). Nice to see Ned getting more press — he has a great blog. However, I left a comment on his blog expressing my disagreement with some of the specifics of his claim, though. Namely, the fighter in the photo is probably not quite 6′ tall (Ned agrees), and right after the weigh-in, he probably went on to gain 20 lbs. I’m nitpicking, but I think most men at 6′, 145 lbs. 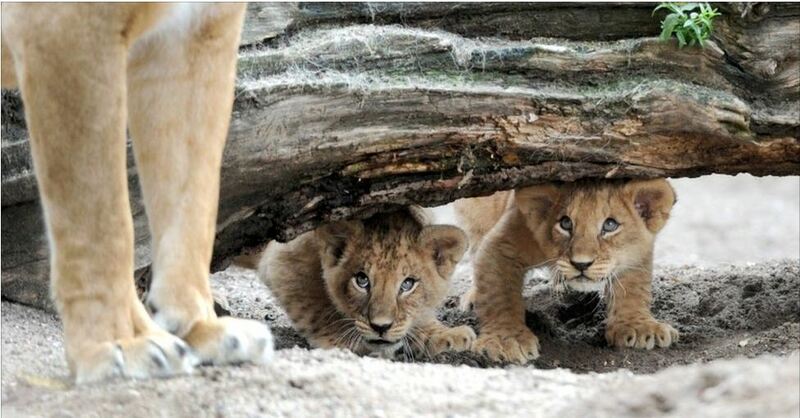 are not going to look very good, and will probably be healthier if they gain some weight. Yes, I’m doubtful the fighter could maintain all 3 of health, strength, and 145 lbs indefinitely. It’s much easier to be healthy, strong, and hit 145 lbs for a single weigh-in. Still, Ned’s main point stands. A lot of hunter-gatherers are slender, lean, and wiry, but still strong. There are different body types. One should strive to be healthy and strong, not strive after someone else’s specific weight and build. Oh, I agree absolutely with Ned’s larger point, and told him as much. I just think the 6′ and 145 lbs. figure is a bit hyperbolic and not realistic for most of the general population. Native Forest brand coconut milk is PBA free. So is the canned fish from Vital Choice. Yes, vegans shouldn’t oppose the killing of bacteria! They don’t object to antibiotics. Still, they will like to know what they’re eating … I know I would prefer my bacteria to be organic, live and probiotic. On the “Statistics on the ratio of animal to plant foods in the diet versus longevity” : sorry but doesn’t seem really convincing. Basically when you look at the graph you can very quickly see a correlation between level of wealth of a country and the level of animal consumption + a correlation between level of wealth and life expectancy, but very hard to prove a direct correlation between animal consumption and life expectancy from those data: of course Zimbabwians have trouble buying meat right now but I am sure the state of their health care system is more of a problem, Cuba -a classic outlier on health related graphs- probably demonstrates once again that the state of the health care system is crucial. This graph would be a bit more valuable if it was comparing countries with the same level of development. 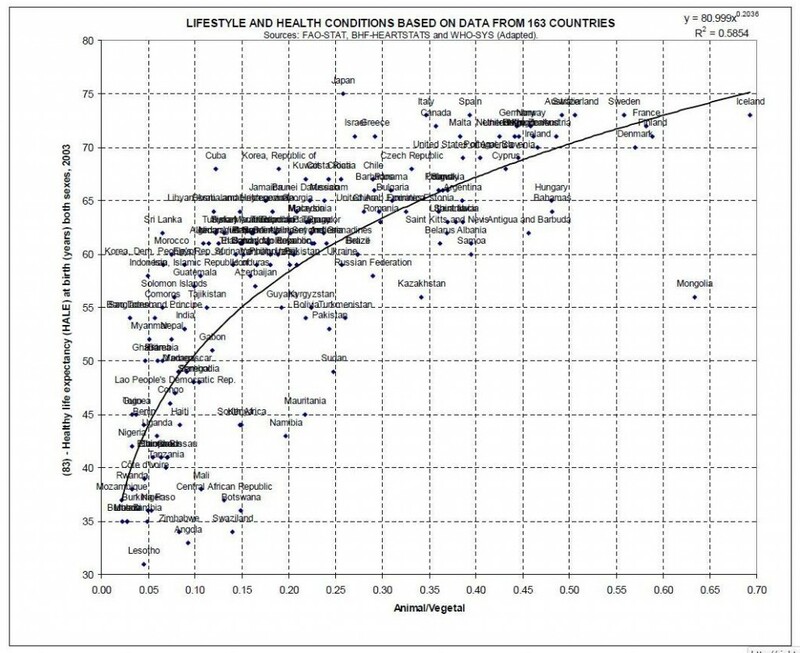 But when you look only at the developped countries, which are all at the top of course, with higher life expectancies (above 70), you lose the correlation and get a wide range of animal consumption (from 0.25 Japan, to 0.70 Iceland). Seems like a pretty flat line to me…. “Flawed” data? The data is not flawed. Inferences drawn from it may be, but not the data. We don’t generally present information here to “prove” our diet. 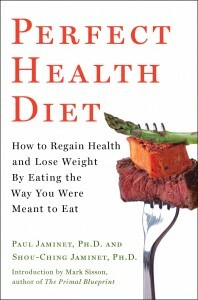 Actually, we kind of think our book presents the proof for our diet. On the blog we look at all kinds of data with interest, sometimes for entertainment, sometimes to see if we need to refine our ideas. Agreed that we can only infer limited amounts from that correlation … but what do people eat when they are very poor? The cheapest calories — grains (wheat, corn, sorghum) and beans. I think it does provide another data point that grain-based diets are bad. Japan is an interesting case. It shows that it’s possible to be healthy on a high-carb diet, but all the other countries with a ratio of 0.25 who have much poorer health show that it’s harder than on high-animal diets. I think this is more evidence that rice is OK, and that toxicity of plant foods matters more than macronutrient ratios. Japanese diets may be high in plants, but they’re low in toxins. Medical care, unfortunately, has little correlation with life expectancy or health. The graph is presenting data about life expectancy at birth, i don’t see how you can deny that the huge gap in infant mortality rates between countries, due in particular to infectious diseases, is not primarily explained by medical care. And this gap in infant mortality has a huge statistical impact on the global life expectancy: in Mauritania -my country- if you live past 4 or 5 years old you can actually expect to live pretty long (nomadic country with camel milk as the basis of the diet), but because of the high infant mortality rate, the life expectancy at birth is a miserable 55 or so. The impact of nutrition is crucial for non communicable diseases such as cancer, diabetes and heart diseases, but those diseases have just very recently become the primary killers worldwide. If you look at the numbers, again, the extremely low life expectancy of people from Zimbabwe, Lesotho or Swaziland is not explained by the fact that they die from a heart attack at 60 after eating greasy french fries, but more likely from malaria at 4, in a civil war at 30 or from hiv-aids at 35 (sorry for the sterotypes). Little correlation after accounting for wealth … which is a point you just made! Infant mortality fell from clean sewage systems, plumbing, and water treatment. There was another gain from antibiotics. But at this point, the beneficial medical treatments are inexpensive and nearly universally available, and there is little correlation between amount spent on medical care and health or longevity. This is true within the US as well as internationally. Your observations about why people die are correct. There are certainly places in the world where more or better medical care would help. But for the most part, medical care is not the primary bottleneck in improving health – sanitation, nutrition, and cultural practices that promote disease are the biggest factors. I’m a vegetarian who’s offended by that graph, but not for the intended reason. Look closely at the countries and you’ll see what’s going on. The countries on the right are wealthier, so they eat more animal products because they can afford to. And unlike the countries on the left, they have excellent healthcare and sanitation, and are not burdened by poverty, war, and infectious disease. Maybe the reason Lesotho has such dismal healthy life expectancy is not because they eat a plant-based diet, but because they have a rampant HIV epidemic? And maybe the reason Iceland has such excellent healthy life expectancy is not because of their animal-based diet, but because their well-maintained universal healthcare system? Yes, it’s true, income is a dominant factor in health/longevity and also in dietary choices, with animal food consumption highly correlated to income. On the other hand, one also has to ask: why is it that wealthy people who can eat anything they want, are attracted to animal foods? Doesn’t that indicate that our evolved hunger/appetite regulation systems in the brain prefer animal foods? Would such a preference have evolved if animal foods weren’t good for us? To do a serious scientific investigation one would have to disentangle many factors. All we did was present a striking correlation. I don’t claim it’s decisive, but I do think it’s meaningful. I think that argument is specious, since wealthy people also tend to eat more refined carbohydrates and sugars. Surely, you wouldn’t insinuate that those foods are good for us too? In the US, poor people eat more refined carbohydrates and sugars. I assume you mean globally. If so, that was an issue of availability — globally poor countries had few supermarkets and access to packaged goods — but that is changing. India has had a diabetes and obesity epidemic in recent decades as supermarkets and packaged foods became readily available. I don’t believe it’s the wealthier Indians who are eating most of those junk foods.